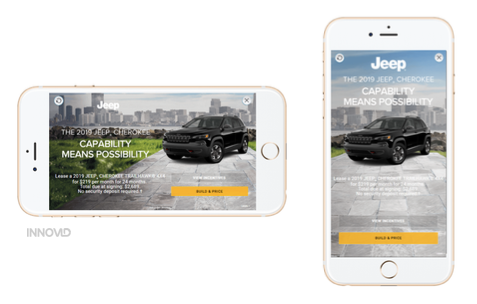 Leading auto manufacturers joined the agencies and other partners that support their digital marketing efforts at the 13th annual J.D. Power Automotive Marketing Roundtable last week in Las Vegas. 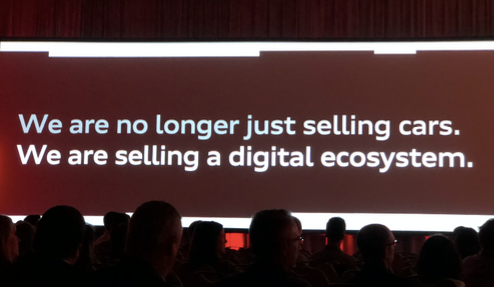 What was striking to me was the overarching theme that auto companies are selling is now the overall experience that the consumer has with the brand, rather than the product itself, best summed-up by the following slide from Reinhardt Fischer, VP, Chief Digital Officer and Strategy at Audi. The ability to deliver, measure and continually refine the consumer experience with the brand in the ways that marketers are now talking about could not happen without the Internet and the increasing shift to operations that are digitally connected at every level. Personalization of the message at every touchpoint and the ongoing measurement of the consumer response to these touch points allows the brand to tailor an experience that best matches brand strengths to customer needs. The ability to dive into the resulting data also produces new strategies. Reinhardt Fischer called out an example where his data analytics lead claimed to be able to determine from a data models which consumers were at risk of abandoning the brand, and after some trials the models was proven accurate. 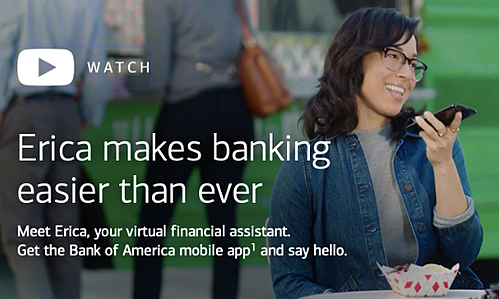 Another similar tale of the digital experience moving to become in a sense more of a product than the brand’s products themselves came from Michelle Moore, the Head of Advanced Solutions and Digital Banking at Bank of America. Her presentation centered on their mobile app and Erica, a new artificial intelligence component of the app that can help guide users to products and services that they might not find on their own. As the interface between a brand’s products and the consumer, the experience is now taking center stage, and relies on data and personalization at its core. 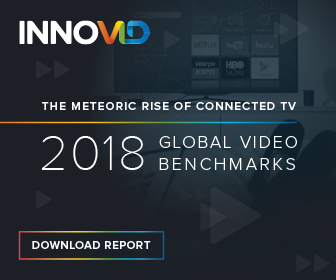 In our own presentation we shared the stage with InMobi and took at a look at 9 things that marketers don’t know about mobile video, including a look at one new format that can help marketers gain time in front of consumers for no additional media cost. This incremental time spent with customers is accomplished by supporting the same kind of personalization strategy that we see driving the experiences above, delivering relevant messages to the right person, at the right time. 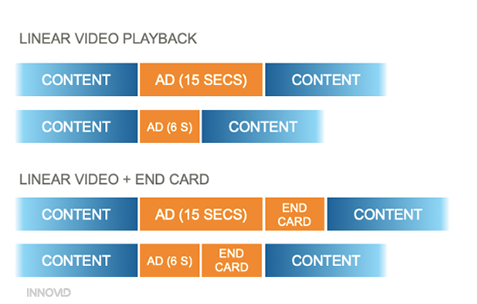 The format – the VAST end card -- delivers to mobile in-app in VAST inventory and gives the advertiser the chance to win some extra time with the consumer, which is increasingly compelling as the video spots themselves get shorter. The end card provides the advertiser with a canvas to sum up the message and drive the viewer to action. Since it’s HTML, it’s also fully responsive to changes in rotation, and can be interactive and/or dynamic. The format is supported on Fyber, Inmobi, Mopub and Oath, with mobile in-app support from other leading inventory providers in the works. It is inspiring to see auto manufacturers embracing change and finding new ways to communicate with and learn from customers by adopting a wholly digital approach to the market. Thanks to JD Power for the speaking invite – we look forward to seeing more interesting changes at next year’s Automotive Marketing Roundtable! If you want to find out more about mobile in-app solutions, contact us today.